An evening of drinks, laughs, and meaningful change. Join us at Stand Up NY for an evening of stand-up comedy from some of the funniest voices in New York City. 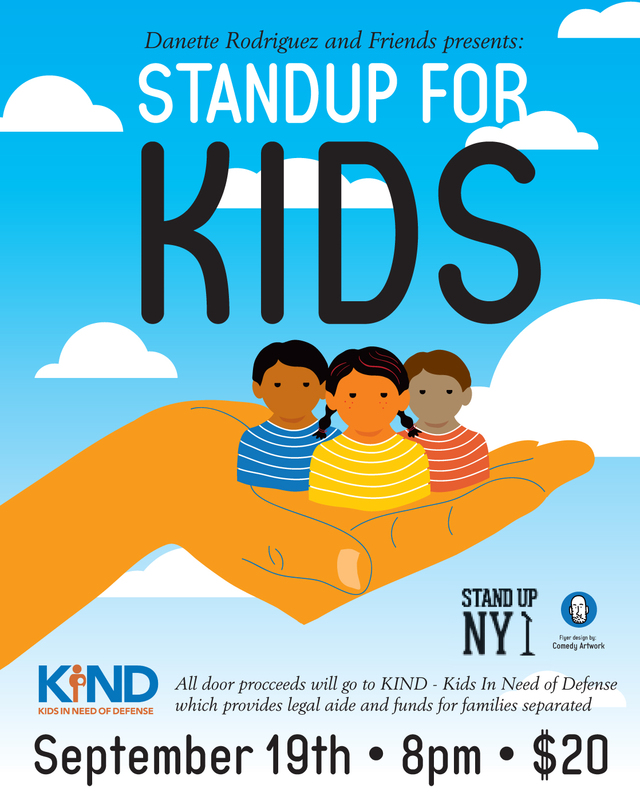 On Wednesday, September 19th at 8pm - with the support of Stand Up NY, KIND, Comedy Art Work, fellow comedians and you - we’re raising money to donate to Kids In Need of Defense. They have a designated fund to provide financial assistance and legal aide to support and unite families that remain separated due to the zero-tolerance policy. 100% of your ticket price will be donated to the KIND Family Separation and Legal Fund for the hundreds of children still being held in custody. This will be a fantastic show, based on love and joy and the good hearts of everyone involved. Mark your calendars, and come out for a special night. Let's be KIND. Kids in Need of Defense (KIND) is the leading national organization that works to ensure that no refugee or immigrant child faces immigration court alone. KIND provides legal representation and other services for undocumented children around the country, including those separated from their families and held at the border.